Before procuring the Services you should read these terms and conditions carefully. If you do not agree with them, do not use the Services. MK Kids Interiors have been retained to provide interior design services only. MK Kids Interiors is not a general contractor and will not act in such capacity. Any issues concerning construction elements must be discussed between owner and his/her contractor. MK Kids Interiors will endeavour to advise the client of the predicted timescale of works as soon as is possible after the quotes have been produced. The designer will set an estimated time frame for the completion of the work, this is usually in weekly blocks of Monday to Friday 8am – 6pm. If the client needs another schedule that includes late evenings, specific days or Sundays, this can be accommodated at an extra cost. We do not work late Fridays and on Saturdays. All such dates shall be approximates only and MK Kids Interiors cannot be held responsible for any delay in completion. After the initial consultation, a design deposit is taken then we will draw up a design concept. This will be approved by the client. If the client is not happy, we will work on a second draft, based on client’s feedback. If the client chooses to change his/her mind once the design has been agreed or if any further amendments need to be made this will incur a cost. MK Kids Interiors is responsible for organising Third Party companies, firms or individuals (“Third Party Suppliers”) to undertake certain work for the Client, such as decorating, building work, carpet fitting, curtain and blind manufacturing and fitting and such other work as confirmed by MK Kids Interiors. MK Kids Interiors takes no responsibility for the actions of these individuals and any delay they may cause. Due to the nature of the Interior Design business we cannot guarantee that Clients will always like our recommendations. Interior Design can be subjective. Unfortunately, we cannot provide any refunds in this case. 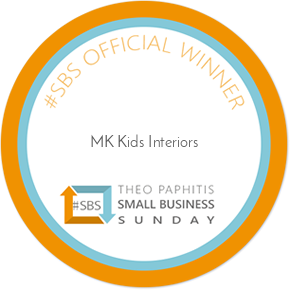 However please feel free to contact MK Kids Interiors and we will be happy to discuss the design concept further over the phone and perhaps make further recommendations via phone/email in special cases. The Client shall ensure that the property is accessible to employees of MK Kids Interiors and any third party suppliers providing services throughout the duration of the works. The client will ensure that utilities such as electricity and water are available for use at the property throughout works and at no cost to MK Kids Interiors. The Client will ensure that invoices are paid within 1 day of the date on the invoice provided. From time to time, MK Kids Interiors may need to purchase products for the Client in addition to the scope of work already proposed. In such cases, full payment of the agreed purchase price is required from the Client prior to purchasing the agreed products. In cases where furniture or accessories have been rented, it remains the Client’s responsibility to insure the furniture and accessories against all risks, damage or loss. The Client will form a contractual relationship with Third Party Suppliers, and will be responsible for managing these relationships and any financial settlements direct with Third Party Suppliers. If so requested, MK Kids Interiors may coordinate the services and financial settlements with the Third Party Suppliers on their behalf, as part of the service undertaken, but the Client will remain ultimately responsible for the contractual relationship with the Third Party Supplier. MK Kids Interiors is not responsible for forming any contractual relationship on behalf of the client. The charges for the services are set out in the Estimate accompanying these terms and conditions or as amended or updated by MK Kids Interiors and communicated to the Client. There is a £75/£175 initial consultation fee for up to an hour. There will be an hourly charge of £50 for any time spent over this. Payment should be made through our website or bank transfer. All Cheques should be made payable to MK Kids Interiors or as confirmed by MK Kids Interiors. All payments to MK Kids Interiors are due immediately upon presentation of invoice, except where the invoice is sent via post where payments shall be payable within 1 working day from the date of the invoice. Invoice 1 – Design Fee, needs to be paid in 3 instalments; a 50% initial deposit, 25% second payment and 25% payment on the day of completion/installation. Invoice 2 – Materials, needs to be paid in full, as this covers the cost of all products and materials to be ordered. Should MK Kids Interiors have to instruct a debt recovery agency, or instigate legal proceedings; the Client will be liable for any costs incurred. The Client has the right to cancel this contract (the “Contract”) at any time up to the end of seven working days after the day on which the Contract is concluded, subject to the following provisions. A working day is any day other than weekends and bank or other public holidays. The client does not have the right to cancel the Contract if the supply of the Service begins with the Client’s agreement before the end of the seven working day cancellation period. To exercise the right of cancellation as set out in clause 7.1, the Client must give written notice to MK Kids Interiors by hand or post or email at MK Kids Interiors address or email as set out in clause 9.2 below. Once the client has notified MK Kids Interiors that the Client is cancelling the Contract, MK Kids Interiors will within 30 days refund the Client for the Services. Following the seven day period set out in clause 7.1, the client has the right to terminate the contract at any time giving notice in writing to MK Kids Interiors. The Client will be liable to pay MK Kids Interiors for the services provided to the date of Termination (including but not limited to Services already performed, goods and materials supplied or ordered on the Client’s behalf, any services that may incur cancellation fees and any travel or accommodation costs incurred by MK Kids Interiors Consultants). Termination of contract will not affect either party’s outstanding rights or duties, including MK Kids Interiors’ right to recover any money owing to it under these terms and conditions. MK Kids Interiors shall have no Liability to the Client for any loss, damage, costs, expenses or other claims for compensation arising from any information or instruction supplied by the client which is or are incomplete, incorrect or inaccurate. MK Kids Interiors shall not be liable to the Client for any unforeseeable loss or damage arising from the provision (or non-provision) of the Services, including loss of profit or consequential loss or damage. Neither MK Kids Interiors, nor the client shall be liable for any failure to perform its duties under this Contract due to circumstances beyond its control, including without limitation flood, fire or otherwise adverse weather conditions. To enable MK Kids Interiors to deal with any complaints that may arise relating to the Services, the Client must provide full details of any complaints within 7 days of the supply of the relevant services. Nothing in these Terms and Conditions affects any liability for death or personal injury caused by MK Kids Interiors negligence or for fraudulent misrepresentation, or the Client’s statutory rights as a consumer. 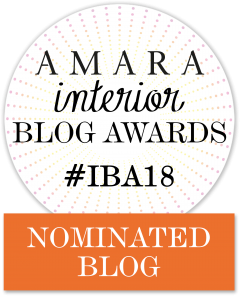 MK Kids Interiors is GDPR compliant and only keeps relevant data. Should you require any further information about GDPR or the data we hold please contact us by emailing info@mkkidsinteriors.com. MK Kids Interiors is committed to ensuring that your privacy is protected. Should we ask you to provide certain information by which you can be identified when using this website, then you can be assured that it will only be used in accordance with this privacy statement. MK Kids Interiors may change this policy from time to time by updating this page. You should check this page from time to time to ensure that you are happy with any changes. This policy is effective from 22/05/2018. We may periodically send promotional emails about new products, workshops and special offers or other information that may be of interest using the email address which you have provided. You will have the option to be subscribed to the MK Kids Ineriors Mailing List, with the option to unsubscribe at any time if they do not want to receive monthly newsletters. From time to time, we may also use your information to contact you for market research purposes. We may contact you by email, or phone. We may use the information to customise the website according to your interests. We never supply any data to third parties. All names and contact details (telephone number, email address, postal address) for client purposes are stored in a password protected webportal. All online card payments, names, and personal details on the MK Kids Interiors online shop are stored on Paypal, which is GDPR compliant. The term “purchase” will relate to one or more items selected. Here at MK Kids Interiors we want to ensure the customer is happy with their purchase, and the process of buying to receiving your product is easy and hassle free. If you have any queries, questions or complaints, please do not hesitate to get in contact at info@mkkidsinteriors.com. All pricing shown on www.mkkidsinteriors.com are in Pound Sterling (GBP). Products from www.mkkidsinteriors.com can be ordered via the online shop www.mkkidsinteriors.com, or email. We accept payments by PayPal through the online shop, and BACS transfers via invoicing. Please allow 3-5 working days for the bank transfer to occur. Purchase orders will be dispatched once the payment has been received and cleared. Due to the time to make each product and shipment our lead times vary from 2-8 weeks for handmade baskets, rugs, animal heads, and rocking horses if they are not in stock. All other items from MK Kids Interiors will be dispatched within 3-5 working days, dependent on stock levels. Depending on the size of the order, the time scale of making and delivering may vary. However, if there is an urgent requirement for an order, we will do everything we can to meet your order needs. 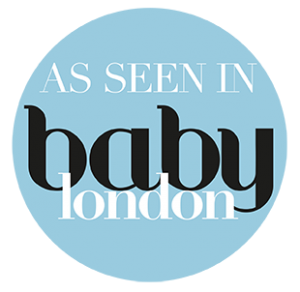 Please email info@mkkidsinteriors.com or call 02032873722 to let us know prior to ordering and check our current lead times. Overseas orders are accepted and delivery charges will be quoted upon receipt of your order. Charges may vary and will be added onto the confirmation email once the purchase order has been made. Please contact us for a quote in advance of placing your order. If you are not completely happy with your purchase, simply return the goods in its original packaging within 10 working days from the date on the delivery note. We will issue you with a full refund for the purchase price of the item/s or exchange if required, and the product is returned in the condition it left the MK Kids Interiors studio. The return address will be on the delivery note. Please state the reason for return through email to info@mkkidsinteriors.com. All items must be returned with a proof of postage requirement. All products must not be returned without prior arrangement. Due to the handmade nature of our products, refunds are strictly limited to the replacement of faulty goods.